Afghanistan has one of the highest rates of maternal mortality in the world, according to the World Health Organization, whose statistics show one in eleven Afghan women die from causes related to pregnancy and childbirth. Who is to blame? In a mix of poverty and cultural tradition, girls marry and give birth too young. Family planning is rare. Access to doctors and public health facilities is minimal at best, and nonexistent in rural areas. 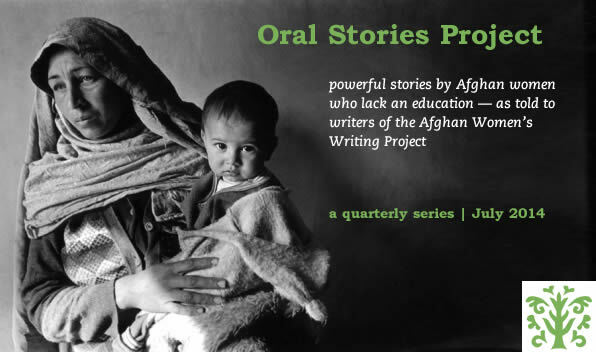 For this feature, the fifth in our Oral Stories series that began in 2013, AWWP writers in five Afghan provinces asked mostly illiterate women to tell their stories of family planning and pregnancy. Few of the women interviewed could read or write and their stories were captured by experienced AWWP writers who interviewed them, transcribed their accounts, and translated them into English. The stories have been edited for length and clarity. In the ten stories published here you will hear from some of the more affluent young mothers who describe happy experiences, made easier by their supportive, extended families. In “Bamiyan Moms Want Both Boys and Girls,” young mothers-to-be describe their anticipation at the prospect of welcoming not just sons, but daughters as well—despite cultural pressure that suggests only one of these outcomes is cause for joy. Many women spoke of their health care experiences. Only about 50 percent of Afghan women have a trained attendant with them during childbirth. Founded in 2009, AWWP is staffed by dozens of volunteers and financially supported by donors.